Reports about Google investing big in satellite technology(s goog) and specifically buying satellite photography outfit Skybox are true. The companies revealed on Tuesday that Google has entered into agreement to buy Skybox Imaging for $500 million in cash. Skybox’s first satellite SkySat-1 – about the size of a mini-fridge – went into orbit in November atop a Dnepr rocket launched from Russia, and it soon began snapping its first sub-meter-resolution photos. The company’s plan is to put a total of 24 birds into low-Earth orbit. How Google would use Skybox in its internet access efforts remains to be seen. It could choose to fit future SkySats with broadband radios, building a communications satellite constellation similar to that of Iridium(s irdm) or Globalstar(s gsat). Skybox’s relatively low altitude would mean Google could deliver lower-latency connections compared to the big satellite broadband rigs way up in geo-stationary orbit. 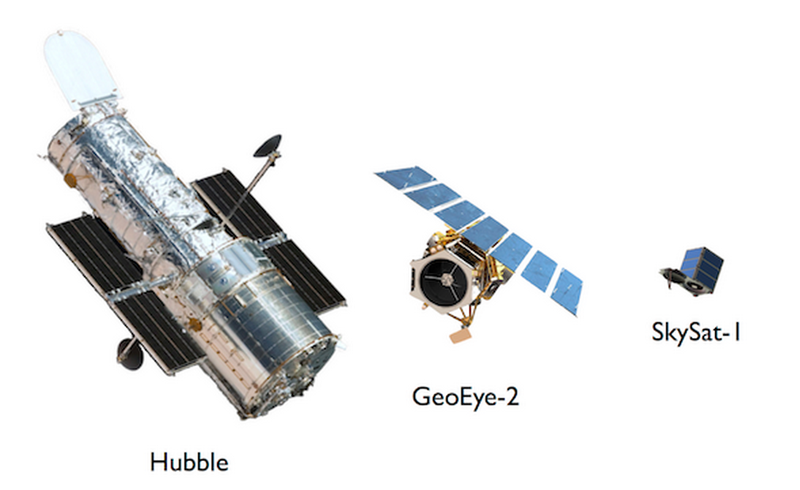 This is going to crush DigitalGlobe’s push of trying to sell their over-accurate imagery in the commercial market. Coupled with UAS about to take over commercial imagery, time to short DGI. They’re always on the move, those companies.